We had a few days of traversing through thick herds of scooters, haggling at the famous Ben Thanh Market and eating patisserie. However! Our main objective coming here was to visit one of our favourite chocolate makers, Marou - Faiseurs de Chocolat. And we couldn't wait, we had no chocolate for over 2 months in Malaysia - just nibs! If you haven't tried their chocolate, it’s a definite must! They're two great people and founders of delicious bean-to-bar chocolate. On the left: Klervi Mandon from Delikats. 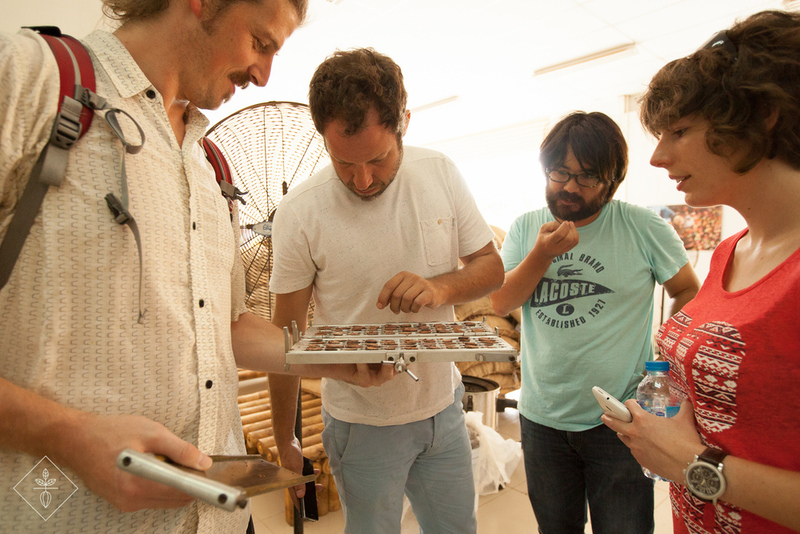 To the right: Sam and Vincent of Marou chocolate. And they made a wonderful bean guillotine in Vietnam, that we happily purchased and picked up. I guess that’s the whole reason why we had a quick detour before coming back to the UK. When we count the beans, each bean should equal to 1g. This means it’s a good shape and size, which tells us it came from a healthy tree! This is where the guillotine comes in handy as it can slice the beans efficiently and display effectively. We check if they’ve been fermented and dried properly. And if there are any faulty beans. 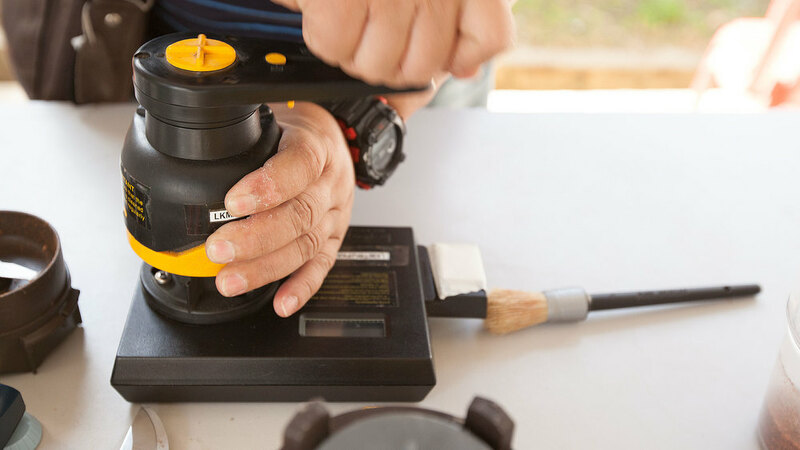 We whizz the beans in a mini grinder, and use a moisture meter. It’s needs to be less than 7% moisture. And after that little lesson about quality control and grading beans. 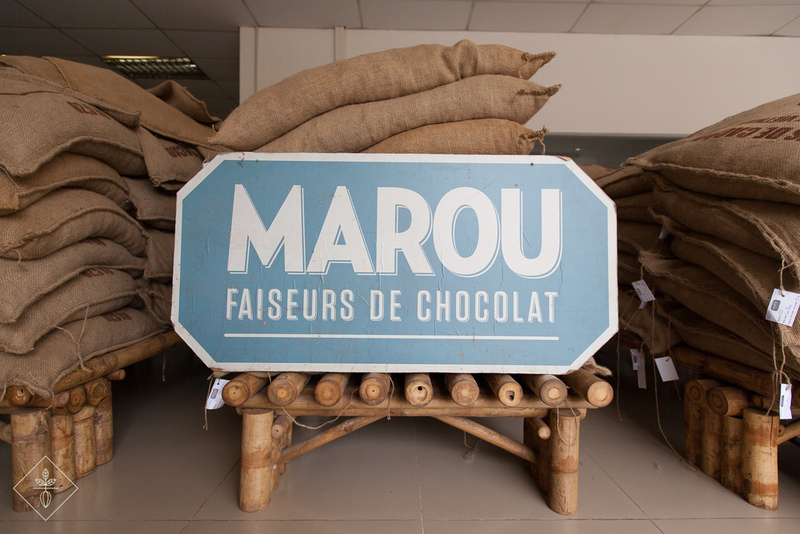 Here’s a little photo story of our short visit to Marou’s chocolate factory! THANK YOU FOR A BRILLIANT DAY MAROU!